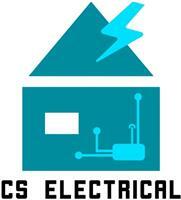 C S Electrical - Electrician based in Chichester, West Sussex. My name is Chris, and I have been in the electrotechnical industry for over 10 years now. I started out in data communications, which i carried out on weekends from when i was 15. I then went on to electrical installation work once i had left school at 16. I have been a sole trader for 4 years now, having gained a lot of experience with various companies. I enjoy and like to take pride in my work. I undertake all aspects of domestic and commercial work, from replacing broken accessories to full re-wires and new builds/installations. I also carry out Electrical installation condition reports and visual inspections.